The Southport Karate Academy, formerly West Lancs Karate Academy, offers award winning instruction in the art of Shotokan Karate at Southport's most successful Club. 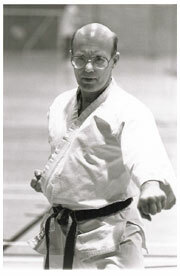 Following the teachings of Sensei Steve Cattle (6th Dan) and Sensei Taiji Kase (9th Dan). Over 200 medal placings in 15 years, a quarter of which were first place titles. Over 50 Dan grade Black Belt passes. Affiliated to The English Shotokan Academy and Karate England. Over £7,000 raised for good causes. Copyright © 2014. West Lancs Karate Academy All Rights Reserved.